E-commerce giant Amazon.com, Inc has reported 23 per cent increase in net sales to $25.4 billion for the third quarter ended September 30, 2015. Amazon, better known for reinvesting cash and growing its business instead of assuaging investors through quarterly profits, has now booked profit for the second consecutive quarter. Net income for Q3 stood at $79 million as against a net loss of $437 million in the corresponding year-ago quarter. In Q2, Amazon had posted net profit of $92 million. However, Amazon's operating income in Q3 went down 25.3 per cent to $406 million ($544 million). Amazon Web Services (AWS) was again a top performer for the company. Revenue from AWS grew 78 per cent to $2.08 billion on a year-on-year basis. As per Quartz, AWS has now generated almost $7 billion in sales over the past four quarters. North America, which grew 28.2 per cent, led geography-wise growth. International sales grew by just 6.5 per cent, partly affected by forex fluctuations, which had an adverse impact of $1.3 billion on the company's numbers. For the fourth quarter ending December 31, 2015, Amazon expects net sales to grow in the range of 14-25 per cent. It anticipates operating income of anywhere between $80 million and $1.28 billion. Post the Q3 results announcement, Amazon shares opened at $617.51, 9.5 percent above yesterday's closing price of $563.91, on NASDAQ. Amazon now sports a market capitalisation of $287 billion. Amazon continues to be bullish on its India operations. In the third quarter, active customers on Amazon.in grew over 230 per cent year-over-year. 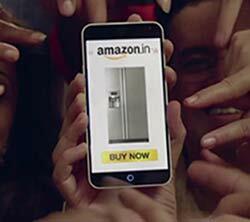 Amazon India claims to have added about 40,000 new products (on an average) everyday in calendar 2015. Over the last year, Amazon.in has seen a 250 per cent growth in sellers, the company claimed. To serve this growing storage need, Amazon.in has nearly tripled its fulfillment capacity year-over-year. Nearly 90 per cent of Indian sellers are using Amazon's logistics and warehousing services. Last month, Amazon launched its 'Kindle Unlimited' service in India. The service allows unlimited ebook reading for Kindle users at a monthly price of Rs 199.